This page is students' #1 resource for any information related to our club and activities! Remember, we are always looking for fun photos! Send your pictures to our Historian, Grace Lane, by clicking the link below! 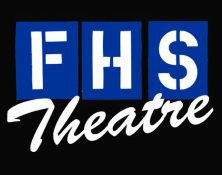 Help us build a community between all theatre departments in Fairfax County Public Schools! Attending as many shows as possible, showing strong support for the creative endeavours within our schools, as well as building student-to-student and department wide relationships are just some of the goals of FX Effects and its members. This committee will help our treasurer, Shauna, with all things pizza sales throughout the course of the school year! Join Play in a day! It's a fun and creative way to work together with others to create short, entertaining scenes, including props, a script and a cast (duh!) all in a 24 hour time span. Sign up to help teach a class at drama camp or be a camp counselor! The theme is the Roaring 20's! You can also earn service hours. snack from the back survey! OUR fx players vlog blogs!